MAC Machine & Gear is an independently owned, comprehensive machine shop specializing in Large Component machining services. People and Machine Tools are keys to success and we continuously invest in both. Our machinists have a combined 134 years of experience and 18 years average length of employment. 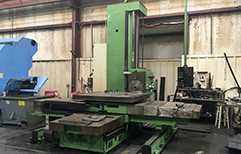 In addition, our shop contains over 35 different types of machine tools for jobs large and small. For a complete list of our machine tools, please review the lists under the appropriate sections below. 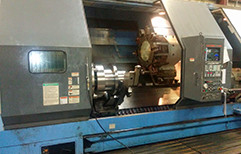 MAC Machine & Gear provides custom machining services to OEMs, MROs, and replacement part manufacturers for their large component or complex part projects. 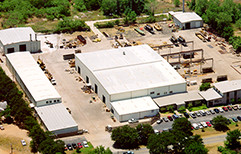 Our capabilities include machining, engineering, welding, and paint services. 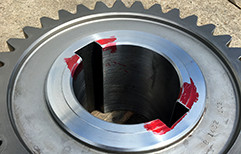 We can also prepare parts for shipping anywhere in North America or Internationally. We understand the challenges of designing, engineering, and manufacturing large components and work with each client to ensure that your part will meet or exceed expectations for quality, price and delivery.